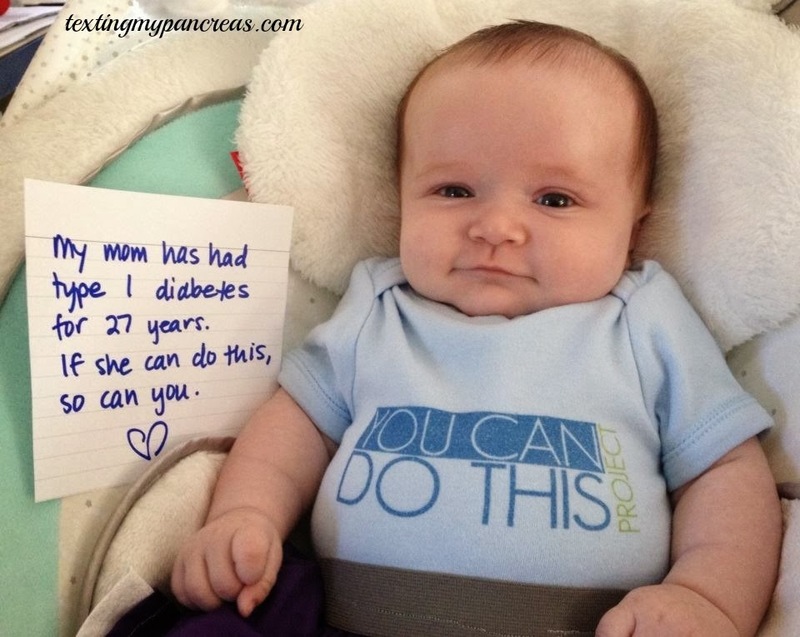 Texting My Pancreas: Wordless Wednesday: The Tradition Continues. Wordless Wednesday: The Tradition Continues. Speaking of You Can Do This Project: I'm going to have a pretty exciting collaboration to share with you later this month, but in the meantime, did you know we're going to be at TCOYD Omaha this Saturday? I need to find this onesie! Due in November! Cute baby = LOVE! Have a great time at the conference and we'll look forward to hearing all about it!